It seems like a lot of folks still have high hopes for Idris Elba to become the next James Bond. On the flipside, there have been people who have expressed opposition to the idea pretty much because Elba is Black. It has never been worded that way, but when Black people are described as “too urban” or “too rough” or “not traditional enough for the role,” we know that’s White-people speak for “no because he’s Black.” Maybe one day someone in Hollywood will grow some balls and say it with their chest, but I digress. 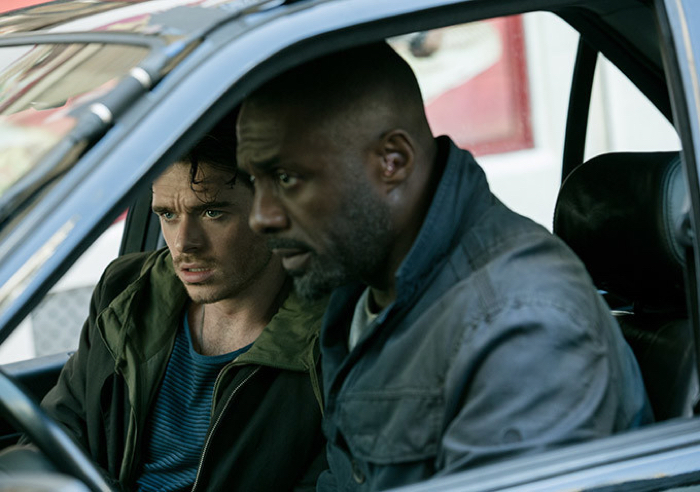 In the meantime, even if Idris Elba as Bond doesn’t happen, we do have Bastille Day to look forward to. Bastille Day is an action movie that also stars Richard Madden (Robb Stark from Game of Thrones) that involves international espionage, lots of chase scenes, and explosions galore. Idris Elba, of course, lends his natural cool to his role as an agent.